Item # 312731 Stash Points: 8,995 (?) This is the number of points you get in The Zumiez Stash for purchasing this item. Stash points are redeemable for exclusive rewards only available to Zumiez Stash members. To redeem your points check out the rewards catalog on thestash.zumiez.com. 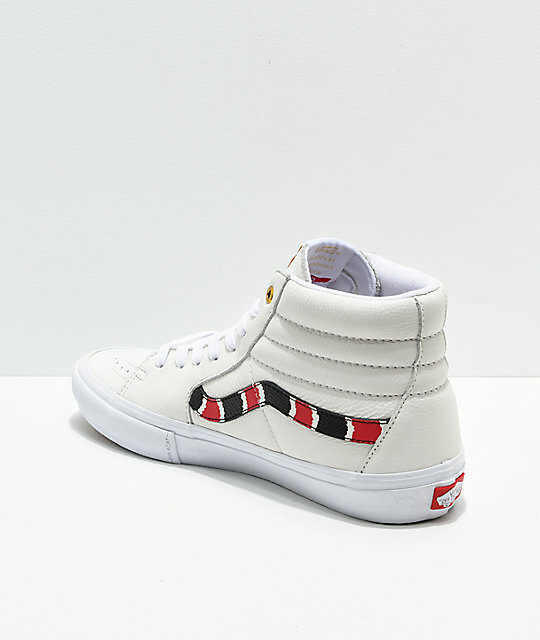 Get a durable and wild new pair of kicks with the Vans Sk8-Hi Pro Coral Snake & White Leather Skate Shoes. Constructed with a Duracap toe reinforcement for durability and double stitching throughout, these shoes will last for a long time to come. Added padding around the ankle provides additional comfort, while the all-leather construction with coral snake scale pattern logo detailing offers a strikingly original appearance for a venomous look. 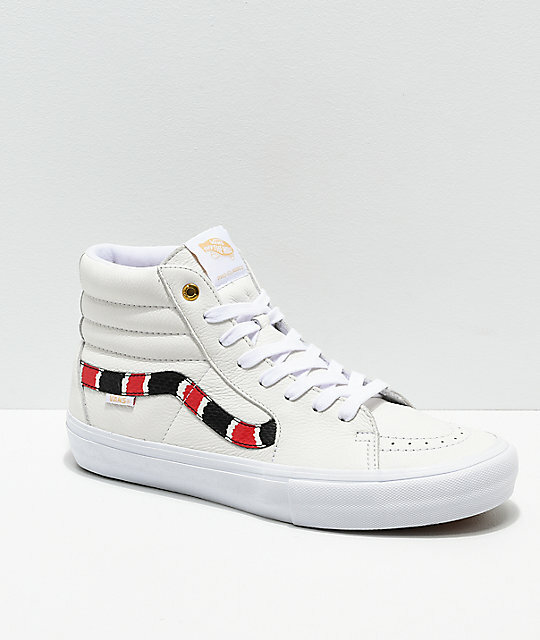 Sk8-Hi Pro Coral Snake & White Leather Skate Shoes from Vans. 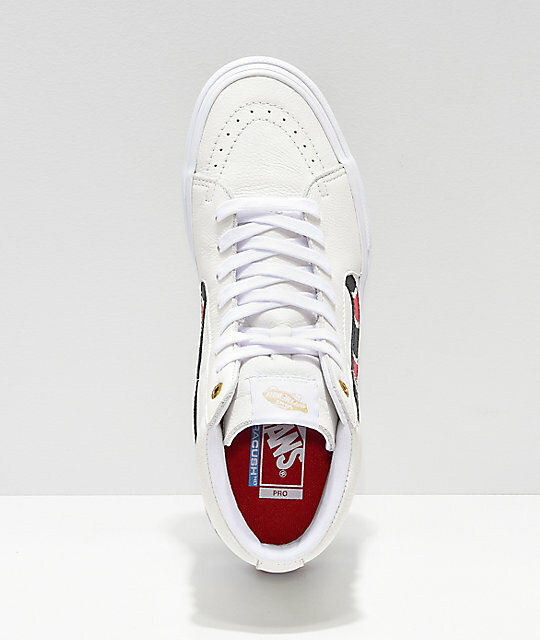 All white leather construction with "coral snake" colored logo stripe. 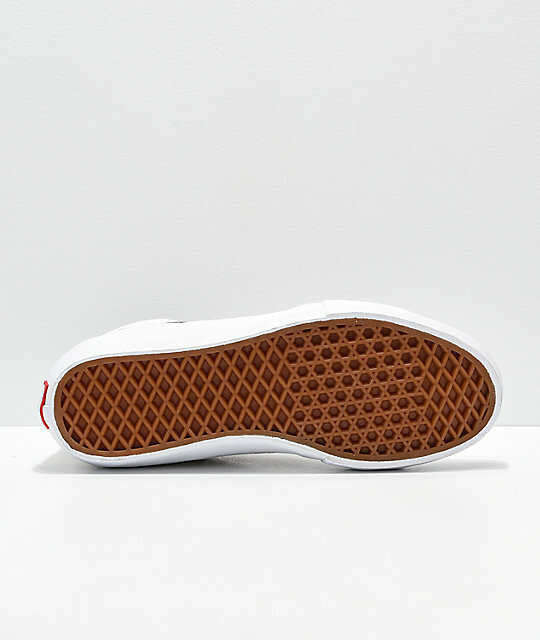 Vans UltraCush HD Pro foot bed.